Ready for another super cool Pixar Studio Store exclusive? 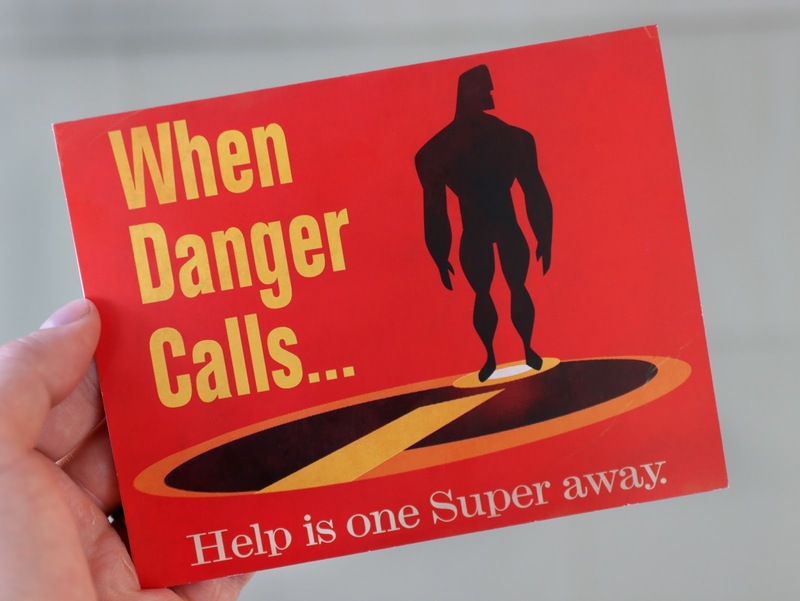 Thanks to my friend [Disney freelance Artist] Jerrod Maruyama once again, I was sent this fantastic The Incredibles "When Danger Calls...Help is one Super away" greeting card! 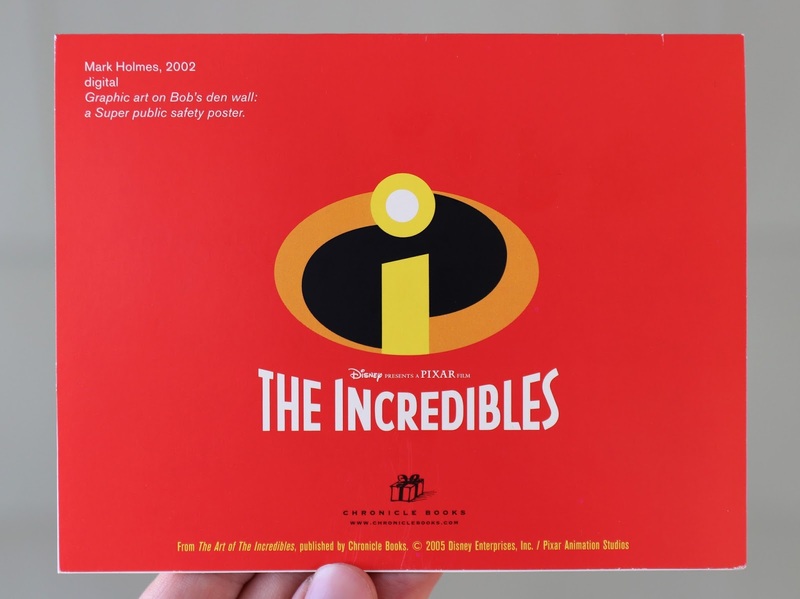 The front of this card features a great piece of digital concept artwork, dating all the way back to 2002, by Pixar artist/art director Mark Holmes (as seen in the Art of The Incredibles by Chronicle Books). On the back of the card is the classic The Incredibles logo. It also states that this was meant to be super public safety poster on Bob's den wall in the film, but I'm not sure that it made it into the final cut (I'll have to look closely next time I watch it). The inside of the card is blank. Note: If you check out Mark Holmes's blog, you can view concept art he created for Pixar's infamous cancelled project Newt. Check it out HERE! This is another fun addition to my collection of Pixar Studio Store exclusive merch. A big thanks to Jerrod once again for thinking of me! Perhaps one day I'll be able to visit the store in person, but until then, I'm grateful for my friends who have generously helped me obtain some pretty special stuff from there. By the way, did you know When Danger Calls was also the subtitle for a 2004 The Incredibles PC action game? Anybody ever play that? I never did. Let me know your thoughts in the comments below!